Business Relocation Services has lots to offer you when it comes to your moving needs. We have a team of experts that will help you to have a smooth and hassle-free relocation. So, if you have been looking for a removalist Sydney, here we are! Along with good quality services, we also provide budget-friendly deals that will absolutely fit your budget allocation. One of our top objectives is to give our customers’ trust and satisfaction when it comes to the services we deliver. And we guaranty that the next time you are going to have a move again, you will still ask for us! Because our commitment is to provide quality output and deliver exemplary customer service. And when it comes to being a team of professionals, our removalist Sydney is reliable as any movers can be. This is due to their dedication in their work. As well as their solid expertise in the field. We provide services that can perfectly suit your moving demand. From the planning phase up to the actual relocation, you can count on us. It is our line of business and expertise hence you can rest assured that we know exactly has to be done in case of contingencies and unforeseen circumstances. Whatever kind of move you will have – business, warehouse, office or library, we can absolutely deal with it. You can have your own choice when it comes to the task you prefer us to perform. So, you will have no problem having business with us. As experts, we hear our customers concerns and questions about the entire process of the move. Even if they don’t ask, we still discuss even the smallest details of the task that we are going to do. Including the fees and charges applicable. Afterall it is probably one of the primary factors that will lead to customer satisfaction and ease. 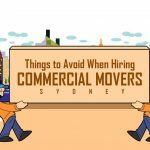 Just like when you prefer to hire a removalist Sydney, we make sure that our customers are aware that our professionals only perform packing, unpacking, loading and unloading. It is up to the customers if they wish to do the packing and we will just do the loading and transporting tasks. When it comes to safety, we guaranty that it is included in our priorities. Both our team as well as our customers. 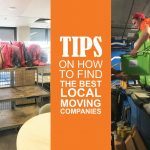 From our removalist Sydney to our movers, we make sure that they are fully-trained before we allow them to be on the operation. And we also inform our customers about the difficulties that they may not perform due to lack of expertise, that is if they wish to give a hand on the move. We also make sure that your belongings are being packed, loaded and transported properly. You can guaranty that your stuff is in the right hand while your move is ongoing. Aside from providing awesome deals for relocation services to our customers, we are also partnered with other great companies that can provide auxiliary yet nonetheless essential services to every move. We partner with Macy’s Mobile Self Storage who are renowned for their exemplary security and safety ethics in storing valuable possessions. You may find it more convenient to store your items when you are going on a long trip or other circumstances. Just let us know if you need one so we can lead you to them. Business Relocation Services has the best team of removalist Sydney. We are happy to deal with your relocation dilemma! Just let us know what are your moving needs and we will provide it to you whenever you need it. We can talk about your requests and let us see what we can do about it. So, what are you waiting for? Call us today and avail our great deals and offers that will definitely work for your budget. If you are not that satisfied with our services, feel free to send us suggestions and comments so we can work on it. Whatever moving issues you have, whether it is with our removalist Sydney or other services, you can talk to us. We consider this kind of opportunities to improve and come up with a much better quality of services. We value your feedbacks just like when you had worked with us on your move.